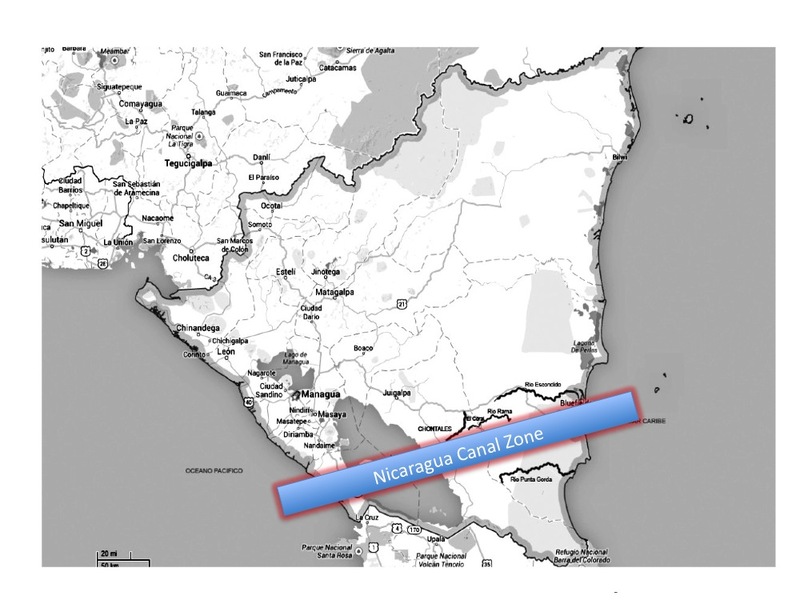 The National Assembly of Nicaragua approved the rights to build a new canal through the country to connect the Carribean (Atlantic) to the Pacific just as the Panama Canal does about 400 miles to the south. The approval of this contract was done largely without any scientific insights and largely without warning. The rights were given to a Chinese firm, the Hong Kong Nicaragua Development (HKND) and gives them power over this property for up to 100 years. The HKND has no experience with a project of this scale, and was largely unknown until this deal. It is multi-authored, thoughtful and level-headed: it is also a searing criticism of the stupidity of the idea of this new canal. The report thoroughly examines cultural, environmental, and economic impacts of the proposed canal. Here are the top reasons I’ve learned from that report (with pg.#s) why this canal is ‘muy malo’ for the people and environment of Nicaragua. (1)The canal would not even belong to Nicaragua for 50-100 years (pg.109), potentially compromising the sovereignty of the nation. (Just as the building of the Panama and the Suez canals compromised the sovereignty of Panama and Egypt. – pg.6). It would also isolate the lower portion of the country from the upper. The rights to build the canal even contradict some major aspects of the Nicaraguan constitution (pg.73; see also Chapter 9, and the end section of the report). (2)We don’t even know if this HKND company can complete the project in a safe or proper manner. Do they have the experience or desire to keep Nicaraguans safe, or are they only looking out for their best interests? (Ch.10). It is unclear if there are any safeguards in place if the project is suddenly halted (what if it goes way over budget), or in case of a disastrous environmental event (e.g., earthquake, oil spill). (3)Although an economic boost would likely occur during construction, a sustained boost during the 50-100yr period remains unclear. 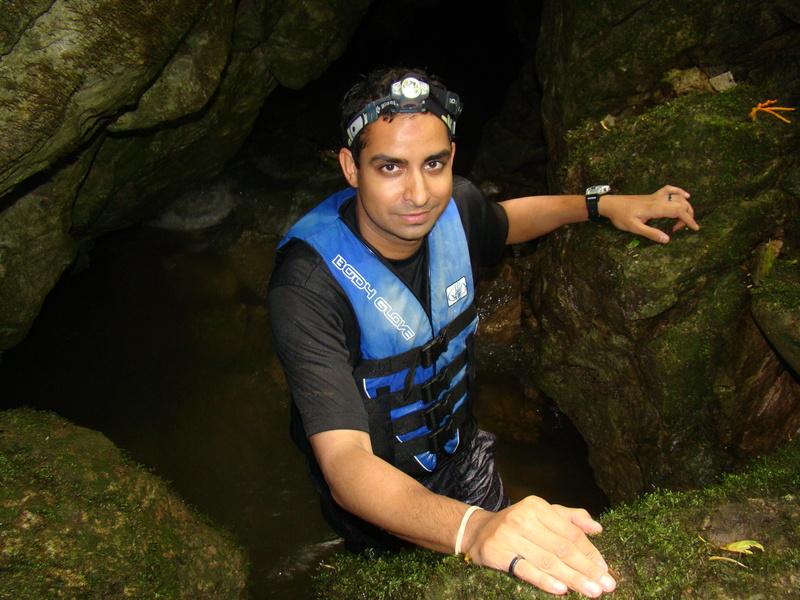 Certainly any future or current money obtained from ecotourism to the region would be lost. (4)Lake Nicaragua has the highest concentration of drinking water in Latin America. This canal could mean tragedy for the many Nicaraguans in the region. Transformed into a marine shipping route Lake Nicaragua would quite possibly no longer provide drinkable water or freshwater for local agriculture (pg.7). (5)Creation of the canal along Lake Nicaragua and the adjacent crater lakes would almost certainly mean the extinction of the endemic Midas cichlids which are poorly understood and potentially a goldmine for evolutionary biology. In Chapter 4, Dr. Axel Meyer says they are as relevant as Darwin’s finches for understanding evolutionary biology. Some of the crater lakes are just a few thousand years old yet already have distinct and endemic species that presumably evolved there in situ. (6)Dozens of other freshwater species are endemic to the region and may be threatened by invasive species that cargo ships bring in, like zebra mussels (pg.34). Pollution too would be a real threat as an oil spill or other toxic spill would certainly have a terrible impact on the surrounding freshwaters (pg.71). (7)Construction and maintenance of a canal would harm marine ecosystems on the Caribbean and Pacific coasts. The Pacific side of Nicaragua is especially rich in coral habitat and has breeding grounds for a multitude of rare marine life (pg.19-20). (9) The proposed canal would need to be 25m deep to be suitable for large ships, none of the proposed rivers and lakes in this region are that deep and would require a great deal of dredging. 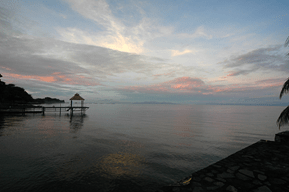 (Lake Nicaragua, the deepest part of the route averages less than 16m.) This dredging would significantly change the salinity, flow, and turbidity of this valuable freshwater ecosystem (pg.19, 22). Many rivers are constantly adding sediment to Lake Nicaragua so there would have to be constant removal of new sediment, or damming of many rivers to the lake (pg.39). This isn’t the first time someone has proposed a canal in this region. Essentially the idea to connect the oceans has been around since the Spanish discovered Lake Nicaragua drained into the Carribean by the San Juan. It was also a site that was rejected for the much shorter, safer and more environmentally sound route across Panama. The San Juan allows some marine intruders like tarpon and Bull Sharks into this largest of Central American freshwater lakes. My lab went to Nicaragua in 2011 as part of my Central American fish research which I’ve been conducting since graduate school. I think Central American fishes tell us an amazing amount of information about plate tectonics (from the movement of the now Carribean Islands like Cuba that formed in the Pacific, to the Closure of the Isthmus of Panama). Turning Lake Nicaragua and its adjacent waters into a shipping route across oceans would mean the certain extinction of this habitat. Famed ichthyologist, Robert Rush Miller divided Central America into four major freshwater provinces in the 1960s based on the uniqueness of their ichthyofauna; the area that would be in this new canal zone includes two of the four provinces, the Chiapas-Nicaragua (on the Pacific Coast) and San Juan (around Lake Nicaragua). These regions are home to some amazing fish species including electric knifefish, gar, and dozens of endemic cichlids and poeciliids; not to mention the plants, birds, mammals, and other critters of the great lake region. Lake Nicaragua itself is more than 8000sq kilometers (Manhattan in comparison is 59 sq km) and is the 19th largest lake in the world.It would be a shame to lose it. A journey across Titan's largest methane sea. We need a different economic model for supporting conservation work. Here’s my story. Is there anything else that can be done, besides the twitter campaign?